It’s a pretty normal problem: You have a closet full of clothes but can’t find anything to wear that you actually like. But what’s the underlying issue making you feel so frustrated with your closet? Michael Kors has one interesting theory about meat and potatoes, and Anuschka Rees, the blogger behind minimalist fashion site Into Mind, has identified several possible causes. In fact, Rees put together a handy flowchart that will help you figure out your wardrobe weakness in a few easy questions. We couldn’t help but share her genius idea—scroll down to check out our shortened version and head over to Into Mind to get the full-length flowchart and Rees’s helpful resources to solve any closet shortcomings. Once you have your result, head to Into Mind for resources that will help whip your wardrobe into shape. Shop new closet additions below! 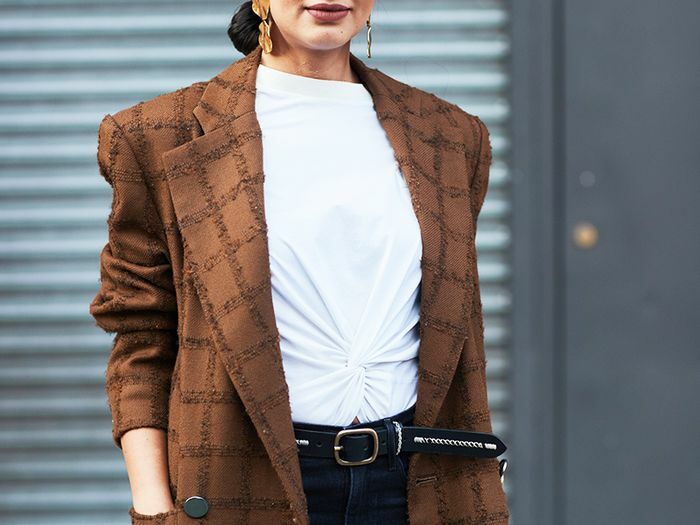 What's the next piece you want to add to wardrobe? Let us know in the comments below!